The UK's Climate Change Bill, which commits future governments to cut CO2 emissions by 80% from 1990 levels by 2050, is about to receive Royal Assent but at what cost? Peter Lilley MP asks why ministers failed to mention that the legislation could cost each family in the UK up to £10,000. Can you spare £10,000 for a good cause? The government thinks you can - despite the recession. Parliament passed the Climate Change Bill, which is set to receive Royal Assent in the coming days, which will force you to cough up. This legislation binds future British governments to introduce unilaterally, even if other countries do not follow suit, massive spending programmes which could cost up to £200bn; that's £10,000 from every family in the country. I'm not talking about rescuing the banks. That involved loans which we should eventually get back. This is real money in taxes and lost incomes - money you will never see again. The bank rescue was to save the economy. This is to save the planet. Hold on! I hear you exclaim. No-one asked us if we could afford £10,000. We haven't heard anything about a £200 billion package. That's enormous. That's right; it is enormous and you didn't hear anything about it. That is the scandal. Neither Parliament nor most of the media bothered to discuss the cost of one of the most immense projects ever adopted in this country. Indeed, Parliament wafted it through without even discussing its cost and with only five votes against. Would you insure your home with a company if they charged premiums which could be double the value of your house? In my experience, our biggest mistakes are made when Parliament and the media are virtually unanimous and MPs switch off their critical faculties in a spasm of moral self-congratulation. That is what happened with this Bill. We all want to save the planet from overheating, just as we all want to save the financial system from meltdown. We accept that both rescues may cost us a lot. But a healthy democracy should at least debate the cost, compare it with the likely benefits (or costs of doing nothing) and consider whether we can achieve the same ends at less cost. Had MPs or commentators bothered to read the government's own estimates of the potential costs and benefits of the Climate Change Bill - the Impact Assessment - they would have found some extraordinary things. Admittedly, on this occasion government failed to publish copies of the assessment in the normal way so it took a little effort to obtain. Apparently, I was the only MP to obtain a copy. The contents of the Impact Assessment are astounding. Whereas it puts the Bill's potential cost as up to £205bn, it says the maximum benefits of this massive expenditure is £110bn. I am all in favour of taking out an insurance policy, as the government describes it, against the threat of global warming. But would you insure your home with a company if they charged premiums which could be double the value of your house? There must be a better insurance policy than this. Moreover, the government admits that their estimate of the "maximum" cost is far from being the real maximum since it omits three huge items. First, the Impact Assessment admits that it is "unable to capture transition costs which could be 1.3% to 2% of GDP in 2020". Second, they make the fantastically optimistic assumption that all businesses will know and instantly adopt the most cost efficient technologies to achieve carbon savings. Third, the assessment "cannot capture trade and competitiveness impacts"; in particular, the "relatively high risks of the transfer of productive capital to countries without carbon policies". In other words, if we pursue the policies in the Climate Change Bill unilaterally, without others doing the same, we could end up driving UK business abroad without reducing carbon emissions because they will still be spewing forth carbon. Yet this bill legally binds future British governments unilaterally to spend billions of pounds on trying to prevent climate change even if other countries do not follow our lead. There is a case for Britain taking the lead, but the bill should surely only become binding if a critical mass of other countries follow our lead; we cannot save the planet single-handed. The bill originally bound governments by law to meet targets for reducing carbon emissions by 26% by 2020 and 60% by 2050. The new climate minister, Ed Miliband, amended it to raise the final target by a third to 80% - thereby increasing the likely cost by at least a third, although no-one deigned to mention this. He has refused to reveal the extra cost until after the bill becomes law. These are pretty onerous targets, yet the UN says Britain will fall far short of our existing target to cut 20% off the 1990 level of carbon emissions by 2010. Climate activists hope that making the new targets legally binding will somehow ensure they will be met. They clearly believe that if only King Canute had passed a law requiring the tide to go out, it would have done so! The new law will not punish ministers if they fail to achieve these targets. The sole effect of enshrining the targets in statute will be to open government policies to judicial review. Judges will then assess whether current measures will achieve the targets. I have little faith in any government's ability to meet those targets cost effectively. But empowering judges to prescribe additional measures costing billions of pounds, without being accountable to the electorate, is a recipe for huge additional costs. The oddest thing about the government's cost/benefit analysis is that it contradicts the Stern Review. 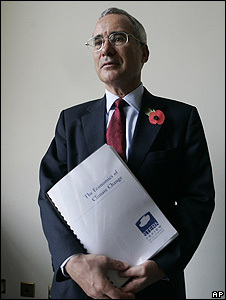 Sir Nicholas Stern concluded that the cost of preventing climate change would be small relative to the benefits. Yet the Impact Assessment reveals that the costs could dwarf the potential benefits. The Stern Review was much criticised for resorting to unprecedented means to inflate the benefits artificially. In particular, he used an astonishingly low discount rate thereby giving a huge weight to benefits that will not accrue until centuries ahead. In fact, half the benefits he expects will not occur until after the year 2800! Ministers have admitted to me that their Impact Assessment rejected Stern's dubious figures and used conventional discount rates. Yet they still quote Stern's conclusions to justify their Bill and never mention their own more recent calculations. What a disgrace that our legislators failed to scrutinise and amend this Bill as rigorously as the US Congress examined the Paulson package before agreeing it. If the Impact Assessment is right and Stern wrong there is a strong case for spending more of taxpayers' billions on adapting to climate change and less on trying to prevent it, but we will not have that option. Do you agree with Peter Lilley? Do the potential costs of the Climate Change Bill outweight the benefits of cutting carbon emissions? Have politicians and the media failed to properly scrutinise the proposals? Do you think the risks posed by climate change need to be tackled at any cost? WE are to blame- as living people! We are giving off heat 27/7, carbon dioxide is only a secondary product( recent evidence suggests that CO2 is following temperature rise, not leadingit!) After plagues in 500AD and the 1600s when the population crashed, there was a mini ice age! Cut the population down to restore the balance!! You can also find 9 million or so more sites by typing 'evidence for global warming' into a search engine. Or you could read papers published by people who did research. ... I'm not telling what you think, but I'd suggest you have a look at this. It's called evidence. Peter Lilley is a fool and shows exactly that the Conseratives new green clothes are nothing more than a gimmick to win the next election. Yes 10,000 pounds is a lot of money but can we be sure this is the correct figure? Put in context with global warming which already has probably caused untold misery in various parts of the world at a huge cost, and which could bring devastating effects to an island like Britain especially to coastal cities such as London, Liverpool, Glasgow, Edinburgh, its a paltry sum, there is no way the insurance companies could reimburse so much people. And what price would the devastation of our cities beas happened to New Orleans? I think what goverments need to do to balance the cost ie reduce other spending to lessen the effect on the poorest. But lets not forget most people in Britain have easily spent more than that in one year on holidays, plasma and lcd tvs, eating out and drinking evry weekend, clothes, computers etc, credit card spending and remortgaging. The government should continue with its envionmentsl leadership and obligations but mitigate the overall burden elsewhere. Lilley lose the green jacket and stick with the blue! When the overwhelming majority of MPs voted in favour of this bill, they were voting to save their own jobs, not 'the planet'. However, because of the regressive nature of 'green' taxation, those who will suffer most will be those least able to afford it. Fortunately for Westminster, those people are too stupid to realise that climate change is the norm and warming stopped last century. It's like taking candy from a baby. Of course Peter Lilley is right. For any government to tie future administrations down to giant tax bills on such shallow evidence as anthropogenic global warming (AGW) is just plain stupid. But for HM official opposition to not only back the Bill but make it even more draconian and bureaucratic is plainly reckless. Good that Mr Lilley is speaking out. The Intergovernmental Panel on Climate Change (IPCC) has produced a number of computer models that aim to project what happens to global temperatures as atmospheric CO2 emissions increase. All of these predict a monotonic rise in mean global temperatures as CO2 levels rise. The level of CO2 has risen steadily during past decades yet measured global temperatures have not increased since 1998 and have in fact slightly decreased. Furthermore, working scientists in the IPCC issue their projections (they do not call then predictions) with considerable caveats and it is only the hierarchy of the Panel and Al Gore who claim that catastrophe is bound to follow the rise in CO2. For example, Dr Pachauri, the IPCC chairman still claims that global temperatures are rising even faster than predicted which is contrary to all empirical measurement. Dr James Hansen, in the mean time, also makes similar claims whilst he adjusts his recent temperature measurements upwards, for no sensible rea! son, which puts them at odds with every other data set. It worries me that many respondents to this article believe that global warming will "kill us all". We will adapt, as we always have, and are better equipped to do so than at any other time in human history. The evidence does suggest that there is a "signal" in the data that can be attributed to industrial development so why not tackle some of the biggest problems first: the un-necessary flaring of "waste" gas from Nigerian oil fields for example, and get large scale renewable energy sources underway NOW rather than in dribs and drabs. I'd happily pay to subsidise the development of geothermal, solar PV, wave and tidal energy if it will replace coal, oil and gas fired powerstations. The Climate Bill actually demonstrates global leadership - something that Mr Lilley has no experience of - Anthropogenic climate change is here and to stay and the deniers are so small in number, they are irrelevant. Despite the looming prospect of a deep global recession, 43% of the 12,000 respondents of a global survey published yesterday chose climate change ahead of the global economy when asked about their current concerns. Your way off the mark Lilley - and thats why only 4 other opposed the bill. To whom is the government going to pay the £200 Billion pounds and what are they going to do? Peter Lilley is absolutely right. What is more, the entire hypothesis of anthropogenic global warming (AGW) is becoming less credible with every year that passes. Global temperatures have not increased since 1998 though CO2 levels are now at a record high and every IPCC computer model predicts that temperatures should have risen. Actually it now seems that global temperatures are falling slightly, as would be expected at times when the pacific decadal oscillation (PDO)is in a cool phase, which it currently is. Unfortunately for all of us these cooling periods last for anything up to 25 years. Perhaps a sensible government should seriously plan for this rather than listen to the ranting and raving of Al Gore and other AGW alarmists. Contrary to the IPCC, the AGW science is not proven. Firstly global scientific consensus tells us climate change is man made. Anyone saying otherwise is showing an extraordinary level of arrogance in their own "beliefs" as there is reason to believe the problem is man made- sound science backs it up so if they are wrong and we do not act because of their arguments the effects are catastrophic! Regardless of whether you believe global warming to be man made or not, we have to act as there is a serious chance it is man made and also because of the following point. One thing that I didn't see mentioned is peak oil. Supply of oil will not meet demand and this will happen soon. Oil will become scarce and expensive and the possible socio-economical effects are startling. The government will not have factored the full costs of this in as it would involve admitting the scale of trouble we could be in in the future. With peak oil in mind plans to reduce our use of fossil fuels (which are intrinsic to the new bill) make economic and political sense and could see Britain becoming the first nation to secure our independence from unstable foreign oil. Thirdly we are responsible for 10% of the CO2 currently in the atmosphere, because we were the first to industrialise so soot is on our hands so to speak so lets stop pretending it isn't. Also there are a lot of things other countries don't do which we do (most of the time) including human rights, democracy, decent strength cup of tea.. the argument we shouldn't because they are not is petty and largely misinformed! China, the ones commonly being picked on, are actually doing a lot in terms of renewables and eco-cities.. Incidentaly how many of the things in your house are made in china? yet the carbon released in the manufacture of them go on china's emissions total. Explain again why we cannot effect china's emissions? Additionally it is looking increasingly likely the US might take its head out the sand so we need to act to avoid being left behind! And the Tories plan to cut climate change is..? Shut your eyes, close your ears, bray very loudly and pretend it's all a conspiracy perhaps? So PJ admits that genuine proof that man is responsible for global warming doesn't exist and will be almost impossible to provide (now, what could be the reason for that, I wonder?) yet still (s)he expects the Beeb and other media to silence those that don't buy into the whole commercialised "save the planet" gig. Typical tactics of that most feverent type of greenie, spout half truths and then silence dissenters. One day, people will wake up and realise that global warming is now very much about making money (other than the usual suspects, all the biggest pushers of the green drive are large corporations) and has very little to do with saving the planet. This topic was famously explored by Bjorn Lomborg in his book "The Skeptical Environmentalist", which was a brilliant and compelling argument for less money to be poured into the changes brought about by the Kyoto Treaty. He argued that it was more worthwhile to spend the incurred costs on other things which would improve the world economy such as the provision of clean drinking water for all and the improved prevention of third world AIDS. Wouldn't it be better to spend money on the advancement of green technology, rather than burdening our already slowing economy by forcing industry to curb emissions? I think the answer is probably somewhere in the middle ground, but I certainly don't agree with the terms laid out by the Kyoto Treaty, particularly given that our contribution to all of this is very small, relative to some of the nations not signed up. Now lets look at our population. It's about 60,000,000 people. World population at the moment? 6,603,000,000. Give or take a few million. In other words? We produce 2% of world emissions - with about 0.9% of the worlds population. See why we need to reduce our emissions now? What really shocks me is the number of people who refuse to accept that climate change is real. The science proving that global warming is man-made, instead of a cyclic phenomena, really quite overwhelming. Furthermore the scientific community reached consensus on this point years ago, and to imply otherwise is to shamefacedly distort the truth. I cannot believe that there are people out there who think that MMGW is a falsehood. Science has clearly demonstarted a link between CO2 and a warming planet (yes warming, the satellite evidence suggesting cooling has been disproven and accepted by the scientist involved). The need to save the plant from climate chaos and the effect it will have on all species and not just humans (we don't own the earth after all) is of the upmost importance and cannot necessarily be translated into a monetary value. If we all sit around waiting for someone else to make the first move we will never get anywhere. It is right for the UK to take the bold step it has, after all we started the industrial revolution! Whoa, a Green Room article that actually wants to debate whether climate legislation gets passed? That's a first. I'm glad to see a different viewpoint on this instead of the usual: "no cost is too great no matter how ridiculous!" Climate Change. Does anyone actually realise what climate is? Climate is the average weather experienced by a given area over a given period of time (normally 30 years). So in fact climate changes every single minute of every single day and has been for the past 4 billion years or so. The biggest, most devastating climate change of all? The sudden appearance of a toxic waste product around 2.8 billion years ago. What was it? Oxygen. It is extremly ego-centric for mankind to think He can control the atmospheric systems that give us what we think of as climate. There is no balance in the atmosphere as it is constantly changing but Man insists the current situation is the norm and should be preserved. Has anyone looked at the possibility that the last Ice Age was the norm? And what will we do in 30 years time when the evidence is pointing us towards the next Ice Age? Remember in late 60's and early 70's that was the fear not Global Warming. Maybe the Government wil give us back the taxes when it's gone the other way? I won't hold my breath. The utterly stupid thing about all this is that if all the targets were achieved, it would make absolutely no difference to climate change. Climate change will happen with changes in the Sun, just as it always has done and puny mankind is just not able to influence that in any way whatsoever. 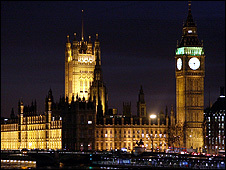 Great Britain lead the world for 100+ years in developing its economy at the cost of the environmnet. Even now, UK's per capita energy consumption is one of the highest in the world. Besides, what is the money worth if there is no one left to use it? Somewhere a line is to be drawn between need and greed. The money is to meet the need and the long drawn greed. All the Honble MP seems to be concerned about is grabbing headlines. Man Made Global Warming is unlikely to prevent the UK and Europe freezing over when the Gulf Stream stops flowing as a consequence of MMGW! The average temp will rise, but we're likely to see it get colder here. The hottest period may have been the 20's, when we were burning tons of coal, loads of particulates as well as CO + CO2. There have been warmer and colder times in history, but we didn't have billions of people on the planet dependent on modern food production, with nowhere to move to if it got really bad. If we start the ball rolling the others will follow and we'll be the ones supplying the new technology! We're in a situation where doing nothing will cost far more than even making a wrong decision. If global warming peaked a decade ago, why are we losing the ice caps at an alarmingly accelerating rate? We already have the technology (and potentially the capital)to become energy self sufficient and meet these targets, but we don't have the political will or the economic structure to do it. Our present politico-economic systems are based on and promote short term viewpoints to the detriment of other alternatives. Boom and bust cycles and media driven governmental policies are symptoms of this. peter Lilley is quite right to bring these vast costs out into the open. I have seen nothing abbout the current changes in climate that have not happened before in the past century. Of course we must adapt to climate. There is no way this bill or anything else we do is going to affect the climate. We don't understand it and we can't control it. I would not trust the government to get anything right. Instead of ploughing money into this bogeyman, we should be investing in real environmental issues. A good example is deforestation and land use change for a start. Regulating and funding this correctly would save thousands of species from extinction. We cannot spend this kind of money, which is putting people live at risk NOW through poverty and food shortages, based on some climate models that clearly do not work. Science has always backed up models with ACTUAL OBSERVATIONAL evidence. The observational evidence clearly suggests the planet is cooling. lets start spending this money wisely and correctly on the environment an not on something that has not been proven. Man cannot control mother nature, no matter how much we would like! The world has just walked head first into a global financial crisis - the warnings were there but no one really took any notice until it was too late. The same is going to happen with climate change; it will be far too late to do anything meaningful by the time most people really wake up to the problem. That's unless, of course, the financial crisis goes on to be much, much worse than the politicians and experts are predicting... Despite what many of the commentators on this piece seem to think, there is incontrovertable evidence that the current climate warming trend is being significantly speeded up by the way most of us live in society at large. Fail to act now and we all have to be prepared to pay a huge penality that will make our current financial difficulties look like a Sunday afternoon picnic. A "Good cause"? Now that's what i call spin! Perhaps "A necessity to play our part in ensuring that there are at least some resources and a habitable climate left for future generations" might be more accurate. As for the cost, don't forget that we in the UK consume and pollute far more than most other people. We already have a debt, an ecological one. I hope David Cameron's pretty embarrassed to be associated with such old-fashioned, narrow-minded clap trap. There will always be people too stuck in their mental models to keep up with new challenges. Thankfully, they are much less common than notice boards like this (which favour the opinionated) suggest. Truth is, stopping the (unequivocal) warming before we pass certain planetary 'tipping points' is the biggest challenge we face today. We are the only generation who have the chance to do this. Most people in the UK and are on board. Let's forget the ones who can't keep up and get on with the business of shifting to a new way of living, moving and using energy. To be a climate change denier is to deny NASA, the world meteorlogical organisation, leading universities earth science departments, the United Nations inter-govermental panel on climate change, The National Oceanic and Atmospheric Administration, The Atlantic Oceanographic and Meteorological Laboratory, the British Antarctic Survey... and so on. Oh dear. Yet another journalist who has decided that the economy is far more important than green issues. Has it not occurred to anyone that if the green issues aren't sorted, then there is no economy. How can you have an economy in a world where some of the most productive agricultural land is lost to desertification or the sea, we don't have enough water or food, and all other resources are being fought over due to overexploitation? Yes, it won't effect me or my children, but in the next hundred years, the world will be drastically different. I for one would like to do my utmost to stop that. If £10,000 is going to help, so be it. I'd rather it was spent on that than a meaningless economy used to make the rich richer and the poor poorer. Perhaps Peter, its time to engage the brain before trying to spread public unrest eh? Surely it is obvious that the very notion of a cost-benefit analysis on having a future is insane? Weather climate change is man made or natural, it will affect the quality of our lives. Furthermore, energy prices will increase in the next 50 years as fossil fules become harder to extract (principly becasue they are a finite reasource). Eventualy (in the distant future) we will have to use renewables simply becasue there will be no alternative. Whenever we make these changes it will be expensive, why not do it now? BBC: You repeatedly allow people with no scientific training (and minimal understanding) to make statements like 'no one has proved that humans are causing global warming', by which they mean we are not causing global warming. The truth is that there is a genuinely vast amount of evidence (please note, proof is very, very hard in this area - some would say impossible) that we are to blame, and scientific consensus clearly favours some level of human involvement. The planet is also getting hotter, faster at the moment. This CAN be proved. Should you (the BBC, the media) not limit the amount of opinion being presented as fact? As someone who has to share this planet I don't have any objection to an educated debate as we can prove nothing without scientific rigour and argument helps this, but allowing people who spend two minutes a week reading sites like this, decide they don't want to bother changing and then pretend that they are aware of some serious evidence (which I would suggest they should share with us, if they have it) is ethically and morally defunct. I don't ask my doctor for financial advice, and nor do I don't want the test of climatological expertise to be the ability to type. Governments know that the only way to have a compliant populace is to scare them. Usually with some vacuous possible threat. Climate Change is just that. A vacuous theory pedalled by fools and obsessives. With anyone who dares to question or contradict the orthodoxy regarded as a heretic. It's like living in the 16th Century.... There is NO MAN MADE CLIMATE CHANGE! I'm always a little saddened to see terms like 'saving the planet' and 'all life coming to an end' in debates like this. These terms are not the invention of the scientific community; they are alarmist comments that have been allowed to bleed into the public's understanding of climate change. We should deal with the issue at hand, not the one presented to us by the doom mongers. Even assuming for a moment that global warming is a man-made phenomena (it's not, but let's assume it is for the sake of argument), the UK could cut it's carbon emmisions by 100% and it would make little difference. The emmisions of China and India alone make the UK's "contribution" negligible. And to pay for this negligible contribution? Unprecedended life style change and taxed to the hilt (and that's on top of paying back all the monies Gordon's using to "save" the economy). But, hey, at least we'll all feel we're doing something to save the planet. It's amazing how many people believe in climate change considering the politicians are spouting it, taxing us for nothing, nothing changes!!!! "In my experience, our biggest mistakes are made when Parliament and the media are virtually unanimous and MPs switch off their critical faculties in a spasm of moral self-congratulation." What, like the Iraq war, you mean? How do we tackle climate change, a natural process that has happened before and will inevitably happen again? We cant, we can slow it down, but how do we do that. The government always seems to think that if they throw enough money at something, someone down the line will eventually get something done. Sheer idiocy. Make recycling LAW. So many businesses still chuck away their cardboard with the rest of whats thrown out. Make it law, save a tree or a million. Relieve congestion, we cant all share cars because we dont all work at the same place. And I'd be lucky if I could find someone willing to take a ride on the back of my motorbike in the icy conditions. So, REMOVE TRAFFIC LIGHTS AND REPLACE WITH MINI ROUNDABOUTS. How many times have people noticed when a set of lights are down, traffic actually moves? EVERYONE. Make the laws stricter on pedestrian crossings, and place more. That way traffic is only stopped when necessary. Please all you government idiots, stop putting the weight on our shoulders, look deeper into the causes of these problems and stop throwing money around so stupidly just because it makes us look good in front of the rest of the world. A small sum to show leadership and commitment to saving human civilisation. For those who claim that the money should be spent on the third world, this is exactly where this spend will have the biggest impact. Climate change is killing people now-and millions more are on the move because we use 3-10 times our share of the planet's resources. The bill will hasten the arrival of great technologies that will help us adopt lifestyles in tune with our planet.Fewer flat screen TV's to watch David Attenborough searching desperately for some last remaining natural wonders will not really harm us too much. There is an irony of Peter Lilley referring to King Canute. The physical and scientific reality is that we have to act on climate change and convert to a low carbon economy sooner or later - this is the inescapable fact he ignores. We can start paying the cost of converting to a low carbon now, or we can delay further, add more carbon to the atmosphere, and then convert to low carbon economy. What does delaying action achieve, other than worsening the situation? I do hope that Peter reads the article also published by the BBC today on the study that identifies the alarming rate of ocean acidification. Many commenters on here have attacked Lilley for his focus on the narrow national interest. However, he's fundamentally right about this: unilateral action is not going to save the world. We can achieve a target like an 80% cut by outsourcing our manufacturing, power generation, etc., then blaming other countries for wrecking the environment. By enshrining it in law, aren't we just ensuring that's what will happen? Methinks Peter Lilley doth protest a little too much. He says the Impact Assessment was not available; but it was published in April and has always I think been available on the DEFRA website. Then 'the contents of the IA are astounding. Whereas it puts the Bill's potential cost as up to £205bn, it says the maximum benefits of this massive expenditure is £110bn'. What it actually says is that forecast reduction in GDP 'would be in the order of £30 to £205 billion' para.2.1.7 and the benefits 'in the order of £82 to £110 billion' 2.4.1, both figures and the resultant positive conclusion of 2.4.4 properly qualified by a large number of assumptions along the way. So he's employing some selective quotation and argument. And there's his larger ambiguity: if 'This is to save the planet' as he accepts, what's the price of that, and aren't we all happy to pay it? I love reading these comments. Good on you folk who know MMGWT is utter bull. Shame on you folk who think Climate change is man made, maybe you should have payed more attention at school in Science lessons. You might have remembered then that Climate change has been happening since the formation of this rock we call Earth. Several hundred thousand years ago, our Poles were iceless, that's right, NO ICE. 10000years ago, an Ice Age was ending, maybe our cavemen ancestors were out driving their 4x4's? As some have also pointed out, WARMING has not really occured since the late 90's. and the hotest period of the 20th century was actually the 1920/30s, did they have 4x4's then? And if CO2 is so bad, explain how the earth survived in the past when the levels were FAR greater than what they are today? Maybe in the future we invent time machines and send all our 4x4's back several million years to add CO2? Or maybe, just maybe, CO2 isn't that important. Or should i stop and think of the kiddies? Nah, we are pretty good at adapting to our environments. I'm glad to see someone, an MP no less, questioning this blind march towards everyone in Britain living in a cave while the rest of the world continues to do what they want to the environment. Everyone thinks they support green causes until their granny dies from hypothermia or they can't afford a foreign holiday because their heating bill is so high. I'll sacrifice to save the planet if that is necessary, but being the only country doing it is a pointless joke. Gahhhh! Will people ever stop bleating on about "oh, we need to do something because the planet will overheat and we'll all DIE!" Your poor misguided fools! No-one, and I mean NO-ONE has PROVED climate change is effected by CO2 levels! Data HAS proven that the planet is COOLING, not heating up. When will everyone pull off their blinker and release that the Global Warming facade is simply a scaremonger tactic by the Government to tax us all to the hilt. THAT'S what will kill us, not the planet! I strongly disagree with Peter Lilley! As he points out, calculations included in the Stern report of the costs and benefits of cutting carbon emissions are contradicted by the governments own cost/benefit analysis, and without doubt will be contradicted by future analyses, simply because the environmental situation is constantly changing, and any such analyses are unavoidably inaccurate. He asks "would you insure your home with a company if they charged premiums which could be double the value of your house?" Yes I would if there was no place to move to in the event that my house was burnt to the ground. As far as I know, we have not as yet begun housing developments on the moon. It is true that "we cannot save the planet single-handed", but it does not follow that we should wait until others are willing to act. We cannot know in advance what effect our show of leadership will have, but given the now accepted realities of climate change, it is unlikely to inhibit future multilateral efforts. I believe that the majority of strident respondents here are indicative of the 'climate' at the moment. Even if the UK were to somehow become carbon negative, the global impact would be minimal at best. Reducing carbon output (which is only one small greenhouse gas) to stop global warming is akin to opening a window to stop a speeding car. If we want to stop global warming we have to regulate the sunlight reaching the planet in the first place. Not try to deal with it after the fact. Let us use Satellites in space to reflect sunlight either towards or away from the earth. Ideally towards the cities and away from the polar regions. What is Lilly on about? It'll be well worth it when our austerity measures keep Britain's local climate constant while the US, China and India glut themselves on cheapo fossil energy and suffer from the localised warming that will produce. That's how it's going to work, isn't it? Its worth pointing out that Pete Lilley is a Vice Chairman and Non-Executive Director of a Petroleum company, Tethys. He also does not believe that warming is taking place; something contradicted by the US Govt's National Oceanic and Atmospheric Administration's results from monitoring of air & sea temperatures worldwide for Oct 2008. These show that October 2008 was the second warmest since records began in 1880. http://www.noaanews.noaa.gov/stories2008/20081118_octobertemps.html I would take his figures and argument with more than just a pinch of salt. Climate change is just another scare tactic to get us to hand over more of our hard earned money. We're having shorter, colder summers and longer, harsher winters, please show me the evidence of global warming in that. As a Chartered Engineer I find it impossible to see how we can reduce the UK's carbon emissions by 80%. Even if we did the impact on global warming would be minimal since our present contribution is not more than 2% of the total global emissions. I was reading this article thinking "what a load of old rubbish this is". Imagine my surprise then, when I discovered that it was written by the former Social Security secretary of the worst government in (my) living memory, that of Mrs. Margaret "Pinochet" Thatcher. Why would anyone listen to this man? He's writing the same kind of sensasionalist populist twaddle that George Osborne was spouting yesterday about the fiscal stimulus package, or that George Bush used to induce two supposedly democratic nations to sleepwalk into two illegal wars of aggression. The Conservative philosophy is basically slash and burn, cuts cuts and more cuts. Can anyone actually remember the 80's? Schools closed, hospitals closed, unemployment rising daily, while the tiny minority celebrated with champagne as the country agonised. With the Tories, you're on your own. If you're rich, great! You just saved a few quid in tax. If not, tough luck, manage for yourself, if you can; and if not, feel free to die of cold and hunger on the streets like the 2,000 a year in London alone while Mr. Lilley was secretary for "Social Security". Lilley neglects to account for two critical issues: 1) there are substantial benefits associated with decarbonising our energy use. In a world with higher energy costs (something that pretty much everyone agrees will happen in the next few years, even if today oil prices have come down from their historic highs) these benefits will be significant. The International Energy Agency for example do indeed predict massive costs of decarbonising the global our energy supply at $45 trillion. However they put the benefits even higher at $50 trillion. The second issue of course is that there will be substantial costs associated with climate change. Ultimately if we don't reign in greenhouse gas emissions we could see average temperature increases of greater than six degrees. According to the vast majority of climatologists this would cause unprecedented impacts on human populations around the world, leading to mass migrations, flooding and rocketing prices for food, water etc. Lilley is right on one thing - the whole world needs to act, not just the UK. With the election of Barrack Obama in the US, and an increasingly engaged China, this looks more likely than ever, and for once the UK is at the front of the pack. After much reading and research I am convinced that Global Warming is a cyclical, natural phenomenon......and has nothing whatever to do with Human activity.........otherwise why did global warming occure before humans existed.......as a consequence all attempts to reduce it will fail.....and we shall waste vast resources chasing an ephemera. With regard to "Would you insure your house with a company who charge a premium of double the value of your house" - Surely the potential costs of climate change could dwarf 100m (one half of the 200m premium). Action now could well be the difference between seeing London above or below sea level in 100 years time. I see Britain as taking a lead on this, I think it is a mistake to suppose that this will isolate our economy as I think, and hope, other countries will follow. If so this dramatically increases the potential benifits of this bill. And I thought this £10,000 was to be spread out over the next fourty years? Peter Lilley may not agree, but the universe doesn't grind to a halt when Peter Lilley dies. Surely the sustainability of human kind is worth investing in? I agree with Mr Lilley that the government not making this document more widely available is suspicious. It is certain that they are trying to hide something. The lies successive governments have expected us to swallow over the last 30 years should teach us that. However, the alternative to trying to mitigate climate change (prevention = massively unlikely) and reduce CO2 emissions is famine, drought, homelessness, war, and chaos on a global scale. We in the developed world think that we are safe from the effects, but when icecaps melt and lowlands are flooded, and when equatorial regions are too hot to survive, where do you think the people who live there are going to want to go? Are we willing to commit genocide to save ourselves from people who are trying to escape a catastrophe we created? Thats right, lets have another 10 years debate Mr Lilley. Maybe the world will have decayed irreparably by then, and we wont have to bother to do anything. I cant remember having much choice in bailing out the criminally irresponsible banks. But you tories dont need to worry about that, do you? Stern points out that climate change is the "greatest externality" the world has seen. Lilley is right to encourage us to challenge decisions and long term investment plans, but he seems to be in the wait and see camp of valuing our generation far more than those of the future by putting our own current consumption and the costs of it before action to tackle the continuing growth in emissions. It seems a strange world in which we as parents spend huge amounts of time and money doing the best for our children for their future but we argue not to tackle the issues of emissions now. In taking a wait and see approach about the optimality of choices whilst emissions continue to grow, we place our own needs above those of our children and their children. I applaud the 80% emissions reduction target. We must now hold our Government accountable to ensuring that the actions are taken to achieve it. Considering that it daesn't make a halfpence worth of difference what we do here this is a bit rich. It is really just a measure to get greater power over the people of this country. Undoubtedly it will send business abroad to more enlightened goverment. Why do the people of the UK tolerate these idiots? Mr. Lilley's figures are well manipulated. If the predicted costs are £205bn, and the potential benefits £110bn, actual expenditure per family will be around £6000. This will be spread over 40 years, making the annual cost per family around £150. I would like to see Mr. Lilley's proposed figures on "adapting to climate change", rather than "trying to prevent it". Climate change is "a good cause"? What planet is this man living on? Trying to tackle climate change is not a "good cause"; if we don't throw everything we have at it, life as we know it on this planet will come to an end - and already has for those affected by the increase in weather-related disasters. It's as simple as that. This man is obviously a climate change denier - I just hope that he lives near the coast so that when the sea levels start to rise he's one of the first to properly see its effects. This is nothing more than a ridiculous piece of politcal scaremongering, as usual just the Conservatives trying to score points against Labour. So what is the cost of not doing anything about the climate? 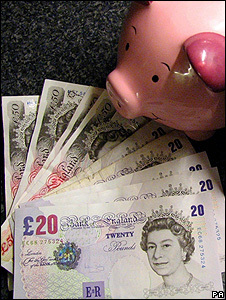 £10,000 between now and 2050 is roughly £250 per year or £21 per month to save the planet. I'll happily pay that. At last, a balanced and sensible article. Not only is the 'flat earth global warming consensus' utter rubbish, an 80% cut in energy consumption will put us all out of business. Only 5 MPs questioned the Bill! They will quickly change their tune when the country grinds to a halt and then freezes over (likely if the present cooling continues). What a poor misguided fool Peter Lilley is. Conventional economic wisdom is so unbelievably flawed that it pays no heed to environmental concerns, Discounted Cash Flows used to calculate future costs are also not appropriate. The Stearn review was at least brave enough to point this out and use a more realistic set of costs. It is for cheaper to do what we need to do now - a stitch in time saves nine!!! This is scaremongering. £10,000 spread over the next 42 years is about 65p per day per household. This is less than the value of food thrown away by the average household according to recent figures. "Would you insure your home with ... premiums ... double the value of your house?" No, but many people do this for their car. House insurance is mostly directed towards preserving the value of one's own property, but spending on fighting climate change is more like car insurance in which remediation of damage to others is an important feature. In this case the others are future generations beyond 2050.
saving the planet is going to be expensive, but if we dont do it we will all die. therefore the money has to be found, somehow. we trashed the enviroment, therefore we should fix it. more of the cost should be put on the giant corparations that created so much of the pollution. All these so-called climate solutions are pointless, regardless of what you think of the pseudo-science of MMGW. Why? Because the world's population keeps increasing. They estimate it'll go up by 40% by 2050. And most of that 40% will be in developing countries that will have to produce loads of CO2 to develop. Even the most severe CO2 restrictions planned by the UK will be dwarfed by the world-wide population increase. A significant decrease in population growth is a necessary precursor to virtually all environmental policies if they are to be successful. They're fairly pointless otherwise. This bill was passed in a way I have come to expect generally from climate science. No opposition is allowed, and no one mentions the fact that the whole hypothesis rests on evidence which is becoming increasingly shaky. There has been no warming of the planet since 1998, in spite of continual human CO2 emissions. The model predictions which are meant to show warming are increasingly diverging from reality. Huge statistical errors have been found in the proxy data which was supposed to show that current temperatures are unprecedented. In spite of this all political authorities, and the BBC, continue to insist that global warming is happening - increasingly against the evidence of our own senses. What will it take to show that it is not? As usual this is a completely fatuous pollitical slant on what should be a non political argument. Where was Mr Lilley during the Nuclear debate? Building and Decommissioning of Nuclear stations costs Billions of Pounds on a level greater than he quotes in this article. There will never be effecient 'Green' policies by any government in the UK unless someone has the Backbone to take unpopular decisions such as properly taxing the gas guzzling 'vanity vehicles' seen on the roads and air travel has comparable taxation to road vehicles. I do agree that the action needs to be multinational, but if we continue to 'brown nose' to China and America; that will never happen. I agree with Peter Lilley. There is no point in burdening the tax payer with goals that cannot be achieved. Other countries such as India and China have to adopt carbon reducing policies to make any real impact. This is more about appeasing the minority green lobby at any cost than dealing with sensible real issues. It is quite refreshing to see an MP admit that MP's collectively do not cast a critical eye over legislation that is popular at a given time - and at this time climate change is all the rage. I cannot believe that the UK, and the world at large, is so universally behind following the whim of a 70's Scandanavian scientist who first suggested that "global warming" could be a means to counter falling temperatures in the 70 years or so of the 20th century. Carbon emissions are a prime example of wasted resources as reducing this small proportion of the atmosphere by an even smaller percentage is a futile exercise. Isolated areas where air quality is a problem - Beijing, Shanghai etc - need to be addressed but mainly to safeguard the health of their huge populations. Sustainability and climate change are two different issues, and they need to be clearly identified as such. Sustainability is the real key issue that needs to be addressed with investment and intelligent design. Climate change is something that cannot be conclusively proven and yet has spawned a world wide industry that employs millions. It is nothing short of a disgrace that, in a world where billions of people live in poverty and millions more die of disease, the so called "good guys" of the green lobby have persuaded governments the world over to pump vast sums of money into a fad instead of addressing real issues and dangers faced by the world at large. Al Gore has a lot to answer for. Of course I don't agree. The fact that he refuses to grasp the scale of the threat we face is indefensible. There is enough evidence that 'adapting' just is not an option on its own because we are already committed to spending a fortune adapting to the warming already in the pipeline. And the hidden premise here is that climate change is linear, it's not and there are some really nasty surprises coming. I find it really odd that those of us with the good sense to want to 'save the planet', in other words provide a healthy environment for our children, are seen as dreamers or even worst 'activists' (there's plenty of evidence that environmental protesters are being spun as terrorists) whilst those that count the beans are shrewd and practical. Recent events have shown what a nonsense that world view is. What we need is a radical restructuring of our economy so that it is not dependent on the dream (or rather nightmare) that exponential growth is sustainable long term. I think the image of the set of scales from Al Gore's film is appropriate here: planet on one side; money on the other. Trying to claim we can't afford to save the planet is a total nonsequitur, to quote his ex-mistress 'there is no alternative'. Peter Lilley reveals how shallow his analysis is with this remark: "They (Climate activists) clearly believe that if only King Canute had passed a law requiring the tide to go out, it would have done so". The simple truth is that we cannot afford to ignore climate change, if we do so the costs of adaptation in the future will be far greater - involving unprecedented loss of life. Crucially, by moving to low carbon sources of energy, generated here in the UK, we reduce the balance of payments deficit, provide energy security to UK business, protect the economy and greatly enhance our national security. There is a lot more at stake here than he pretends. Peter Lilley falls into the trap of considering action on climate change as a course of action with realistic, plausible alternatives - The benefits the Stern report highlights are the benefits we accrue from still having access to a fully functioning biosphere. The alternative to action on climate change is almost certain economic collapse as the ability of our planet to support out growing population is degraded. Rather than worrying about the potential benfits of acting on the changing climate, he should consider the consequencs of failing to do so. Climate Change/economic conditions change...Stern was always a dubious guess at the future based on extrapolations which were questionable. Peter Lilley is right to comment that when the 'great the good and the wise' are all in agreement there's likely to be something wrong...so...no debate. The political risks of questioning the consensus made it impossible. The credit crunch has done some good by permitting 'respectable questioning' the money for climate change measures was all spent yesterday by Alistair Darling. The questioj is how to get it wound back. An excellent piece which deserves to reach a wide audience. Sadly it will "plop". The green lobby have captured governments. They in turn have sold most voters on thr idea that we must save the planet - where "we" is plucky little Britain. I fear they are also brainwashing children. Look at the eway climate change is treated in, for example, physics. Climate change looks set to replace race/immigration as the great "don't go there" of British politics. Is there any hope? Perhaps a little: when the lights go out, and the remaining manufacturing moves offshore, Ministers may just possibly find an excuse for changing this silly law. Rarely is there anything with which I would agree with Peter Lilley on but it happens that this is one of those occasions. That the environment is important is undoubted but to legislate in this way, a extreme unilateral binding commitment, gives industry the certainty that investing in the UK will be expensive. Whilst in decades to come others may follow in similar vein in the intervening period the only certainty is UK is expensive to invest in. This bill is a stick - there are no carrots. You either invest in 'green' equipment or pay sky high carbon costs - the third option of you invest elsewhere instead where the costs are lower seems to have been missed by DoE mandarins. I have rarely heard such a nationalistic, narrow-minded argument. Lilley entirely ignores any effects of climate change other than those that would happen to the economy in this country - presumably it will be ok by him if S.Asia is flooded, Africa desertified, millions of people killed and displaced, species wiped out, as long as the unsustainable lifestyles of the white middle classes is the UK go unaffected? Not that they would anyway. Are there any effects other than financial that Lilley would consider worth putting into his equation? Is it entirely out of the question that there should be a moral obligation for the richest and most polluting countries whose wealth is built on 250 years of over-pollution to do the most to avoid such utter destruction? Tackling climate change is going to be the biggest challenge my generation shall face, Peter Lilley has shown himself entirely unprepared for it. His attitude is entirely selfish and outdated, happy to screw the planet, his children, the rest of the world, and to hell with the consequences. Contrary to popular opinion, we do not rely on this illusory beast "the economy" to keep us alive, we rely on the resources provided by the planet we live on. When you say the climate change bill is "a good cause" and it will "save the planet" you clearly misunderstand the meaning of the words you say. They have become meaningless through overuse, so let me enlighten you. For "a good cause" read saving the lives of people alive today, for "the planet" read human civilisation as we know it. Climate change is not some vague, abstract concept that will affect generations to come in far away places, it is affecting people in the UK (anyone remember the floods?) and even more so in warmer countries. According to George Monbiot's book Heat, climate change is already causing the deaths of 150,000 a year. Economics utterly fails to account for everything important in life and therefore we cannot use it as a manufactured excuse for not taking the urgently required action proposd in the climate change bill. The crux is that continual growth is incompatible with the system of finite resources on which we rely for wellbeing. Additionally, according to measures of human welbeing like nef's Happy Planet Index, once our basic needs (food, shelter etc) have been met, it doesn't make us any happier. The sooner we all realise this the better. While we have MPs who see dealing with Climate Change as nothing more than a "good cause" what hope is there for mankind? There is no stopping climate change. Now there can be no support from government to adapt to it. If you want your children and your children's children to survive, you must do everything within your power to try and adapt now, relying only on yourself and God without redress to imperfect man-made systems, like government. A lot of what we need to do to adapt to climate change is supposed to be about working regionally instead of nationally, working sustainably with resources, not gold-plating projects, working in social partnerships on transportation solutions. Using the mass market to make insulation work cheaper. It should be cheaper than what we're doing today. I'm not saying that it won't cost money . . .but its more a state of mind. I can't help but suspect we're doing it wrong, using technology and big government. "The bank rescue was to save the economy. This is to save the planet". Although I'd rather save the planet than the banking system, I do, unusually, find myself agreeing with Peter Lilley. It will only work if all countries take action, assuming that it will work, of course (which is unproven). Far from reducing our GHG emissions, so far the UK has only succeeded in increasing them - the chances of us meeting that 80% reduction target are pretty remote. And as for the rest of the world... Take the current economic crisis - if you believe in cutting GHG emissions then it's wonderful for the environment! No-one is buying crap they don't really need that has been shipped halfway across the world, all of those carbon-emitting factories are closing down or reducing the days they operate, cars aren't being sold. But Governments are throwing their hands up in horror and desperately trying to boost the economy. There is no joined-up thinking. We need to sort out what our priorities are, and how much we're prepared to pay - a true cost/benefit analysis. Most of all we need a well-thought out energy policy. There is an argument for and against allowing the public to engage with such policies. The sad thing is, the EU on the whole has only just achieved a reduction in emissions in comparison with the 1990 baseline, when the initial Kyoto reduction was set at -6-7%. And this reduction is almost entirely due to the collapse of the Eastern block at this time, and the reduction in polluting industries (hence the reason for choosing the 1990 baseline to make even the UK look comparatively good at reducing carbon emissions). Many EU nations have continued to increase their emissions. Trying not to be pessimistic, surely it would have been better (and hopefully the legislation is coming shortly) to set concrete measures as targets rather than an arbitrary emissions reduction target. Why not set a target for 2025 that >50% UK homes to have installed solar panels, all new housing developments meet stricter energy and water efficiency, insulation rules, minimum 20% from renewables, ban old lightbulbs for energy efficient ones, ban "standby" functions on appliances etc etc. This Bill is an example of the collosal misallocation of resources to which the fallacy of CO2 induced "global warming" will lead. What temperature change there has been since 1975 was caused by solar activity and, since 1999, global temperature has gone nowhere. Please, God, give us a cold winter and perhaps people will begin to appreciate the insanity of this Bill and all the other measures like it that governments throughout the world are imposing in the foolish belief that the tiny proportion of CO2 that is produced by human activity is, by some unproven means, causing the climate change that is as natural as the changing seasons. But why on earth didn't Lilley make more of a fuss about it before it was too late? Why didn't he publicly support Lord Lawsons attempts at derailing it in the Lords? When we are reminded of the deal that our politicians 'thought' they had achieved in Brussels, regarding renewables and power generation, we really are like babes in the wood. UK CO2 emissions have only fallen slightly since 1990 but if the CO2 emissions of imported goods are included then UK has been responsible for an increase in CO2 emissions. Does reducing UK direct emissions and increasing them elsewhere in the world help the climate- obviously not. The Labour party have,and will do anything and everything to completely bring the UK to rack and ruin and sod everyone else-when will other countries like China and the USA adopt the same measures over climate change?Labour is too much about `BROWN'than `GREEN'! This comparison between looking after the environment and home insurance is a tragically poor one. It shows how out of touch whoever said it is with reality - The reality that if we want to take from nature we have to give something back as well. Nature is not there to be profited from unsustainably. It's about life. A lone voice of reason, lost in the babble of the eco-nutters. Thank you Peter, perhaps more of your collegues will have the conviction to speak out also. There is still a large body of opinion in scientific and other circles which believes that the whole 'carbon' scare is just that. Climate change happens ; a whole new industry has grown up over something which probably doesn't exist. Don't get me wrong - I'm all for conserving natural resources but giving the population (especially here in the UK of course) a guilt trip so that they feel they should switch off some lights, walk to work etc otherwise they will destroy the planet really should be seen for the con that it is. It is amazing that these expensive and probably futile proposals are just being nodded through. At least Peter Lilley had the sense to question this! For Heaven's sake, BBC, get real on the climate and CO2. Following the diktats of AL Gore are leading you into a blind alley. An ever growing majority do not believe the AGW/CO2 scam and the science proves it to be a unsubstantiated. How are you going to get out of your self-embracing and ignorant AGW in-house policy? Peter Lilley is a dinosaur, he says we should do nothing unless other countries do the same because it wont make a difference - that is akin to saying I'm not going to vote because it wont make a difference. Climate change denial is a real risk to our planet and our children, most representing that camp turn out to have vested interests in preventing change - I wonder what Peter Lilley's background is? What global warming? We have just experienced two awful summers, with below average temperatures for most of this summer and the winter starting on very cold note. I would like to see a full debate from BOTH sides of the climate argument and full costs published of so called measures to be taken (big question, why won't they do this??). I, like many other people see it as a money raising exercise by this government. Come on, let us have EVERYTHING out in the open. I am not an expert on the ins and out of this policy but I do know that not acting now to cut carbon emmissions and try to mitigate the affects of global warming would be a disaster to humankind and a disaster for other life on this planet. I am just pleased that the government are commiting themselves and future governments to tackling this problem. If we waited for other countries to sign up to this policy it might be too late. As we cause 2.5% of Greenhouse gassesw, even if we stop 100% of our emissions, what effect will it have? NONE. Why don't the politicians get their heads out of the clouds and propose schemes that will help the public not tax them till they squeek? What a disgrace that Peter Lilley cannot even see beyond the bottom of his wallet! The degradation of our global environment due to decades of greed-based policies by the likes of Peter Lilley will be catastrophic for future generations. The correct question is "would you invest £10,000 to help secure the future for your children, grandchildren and everyone who follows them?". Wake up Peter Lilley! We're not talking about benefits within the timescales of the next parliamentary session we're talking about preventing global disaster that will blight countless lifetimes and generations. I am strongly disagree with Peter Lilley, out of more reason as it is possible to writ here. I am also not sure from where Peter Lilley is taking the amount of £10,000 per family, as factors such as monetary inflation and population growth, seam not have been taken in to consideration in his calculation. However should we not take sufficient action; the costs to human health including the loss of life, and other damages to the economy due to freak wetter and flooding, introduced by climate change, will far outweigh the cost of the Climate Change Act of £200 billion, over 40 years. Peter Lilley fails to acknowledge that fact the New Labour has a plan to reduce Britain's carbon emissions: close down power stations and not build new ones. This will directly and quickly lead to reductions of about 20% in CO2 emission and a return to the 3-day week. People then will no longer be able to fly or run cars. Businesses will relocate to polluting countries. As result Britain will have the lowest CO2 emission and largest negative growth of any G8 member. Brilliant! 10,000 pounds over 42 years is 238 pounds per family per year, that's less than last years rises in fuel bills for those increasingly expensive fossil fuels have cost me. I have never been convinced that our use of carbon based fuels were causing the globe to heat up. The whole thing is a politically driven idea to increase tax and the hold that this government and the Brussels dictatorship have on the people of Europe. The fact is that that the Green issues are the least worry to people who see their incomes slashed by taxes and fuel hikes that pay fat cats to be immune from the problem. The windmills that this gcovenment and the various Green parties so admire will never repay their innitial cost let alone replace the power stations that are at present in use. The various bodies that espouse the use of these costly and, frankly, hidious windmilly are either in the pay of the various companies who make them or have a dictatorial agenda of their own. If the cost of a saving is more than the saving them what is the purpose of making that move, as a consumer I will not be changing my car as the present one only coast a small amount for maintenance and the fuel where a new one will have a huge financial cost, huge maineneance cost and has an even bigger carbon footprint due to its recent build. Is it not time to build more nuclear power stations rather than rely on the fickleness of the wind? Peter Lilley is a Conservative MP. Of course his opinion will be to whinge about the current Government. Its his job and he has been elected to do so. When it comes to party politics, opinion pieces such as this should be given a seperate page on BBC Online and not dressed up to read like proper independent articles. Everyone knows that the 80% reduction target is pie in the sky. Without a very major breakthrough in, say, fusion power, or electricity storage capability combined with brilliant photovoltaic cells, there is absolutely no way it can be achieved - short of returning our economy and life-style to the middle ages. Of course the cost-benefit ratio is bonkers. Even if you take the IPCC's reports at face value. Why is Peter Lilley the only one with the nerve to point this out? When it comes to caring for the environment in any way I always think of Dubai (£20m on a firework display last week) and how its profligate waste of resources dwarfs ours, and wonder what is the point of our doing anything at all. BUT if our MPs are insisting on such an incredible reduction in our use of fossil fuels, let's see them set us an example by reducing theirs first - I'd like to bet that not one of them has the intention of doing so, or ever will try! I'm unfamiliar with British law, but I find it strange that a current government may bind a future government by merely passing a law. The law does seem to blame carbon dioxide for "climate change", despite the fact that global warming peaked a decade ago (1998, as shown by all four temperature data sets (Hadley, GISS, UAH, and RSS), while carbon dioxide levels continue to climb. So much for "Vote blue, get green"! "Vote blue, get green rhetoric" is nearer the mark.